With proven methodologies in all aspects of a garden maintenance business – marketing, sales, operations, human resources, finance and extensive training – Simon has devised a system based on the support he felt he needed but lacked when he started his business. Many people dream of running their own business but are put off by the fear of knowing whether or not it will succeed and deliver the income and lifestyle they desire. 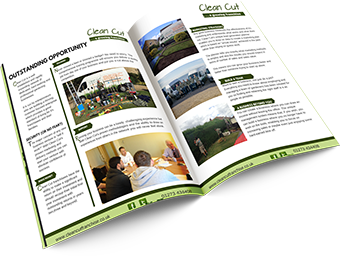 The Clean Cut gardening franchise opportunity takes away all those fears by providing proven marketing strategies that can not fail to get you customers. You will also have the security of knowing you have the support of Simon and his team of experienced staff to help your franchise become a success.